I have seen a gain on wkw and Nm's on all the cars I've installed DP's on. I did some research on N55s a while back, someone in the states put together a comparison. Power gains ranged between 8-16kw and 20-50nm - that’s at the wheels on a RWD car. The most benefits will be had if the cat is blocked. Less resistance will help spool up time slightly and reduced back pressure will have some benefit. Well, I guess I was wrong. Apologies. (11-01-2019 01:56 PM)dvst8 Wrote: I have seen a gain on wkw and Nm's on all the cars I've installed DP's on. 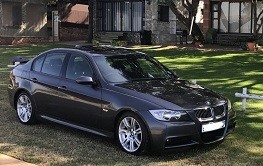 All that being said....where is a good place to have a DP fitted to a 2010 320D in JHB? (11-01-2019 03:34 PM)wades Wrote: All that being said....where is a good place to have a DP fitted to a 2010 320D in JHB? what bmw are you driving ?